In May 2018, PRI will co-organise the 2018 World Congress on Justice for Children, which will take place at the UNESCO House in Paris. The Congress, on 28-30 May 2018, will address three major issues, which are: the global trend towards children’s involvement in violent extremism and possible responses; the need for more effective ways to reduce juvenile offending and recidivism; and how to improve protection mechanisms for vulnerable children, including early prevention. The Congress aims to bring together professionals and stakeholders from around the world to share perspectives on youth and family justice and the prevention of offending and violent extremism. There is a call for proposals to organise a workshop or contribute a paper to a workshop; workshops will take place on Tuesday 29 May 2018. Those who wish to submit a proposal to the Congress organisers can find more information, guidance notes and an application form here. Completed applications must be received no later than Friday 26 January 2018. To register for the Congress, please click here. There is a reduced fee for those who register before 31 January 2018. As well as PRI, organisers include the International Association of Youth and Family Judges and Magistrates (IAYFJM), Terre des hommes Foundation, Child Rights International Network (CRIN), Defence for Children International (DCI), Judicial Training Institute of Belgium (IGO-IFJ) and the Information for All Programme (IFAP) of UNESCO. 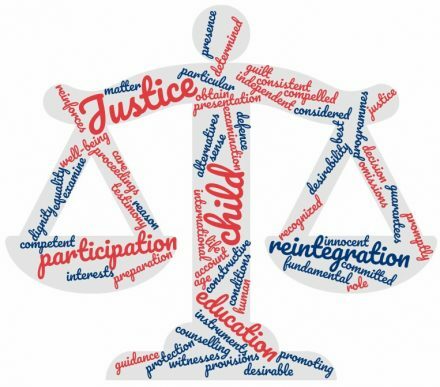 Find out more about PRI’s work promoting child-friendly justice systems, including our Ten-Point Plan for Fair and Effective Criminal Justice for Children (available in six languages).